WE ARE IN CELEBRATION MODE FOR SURE! 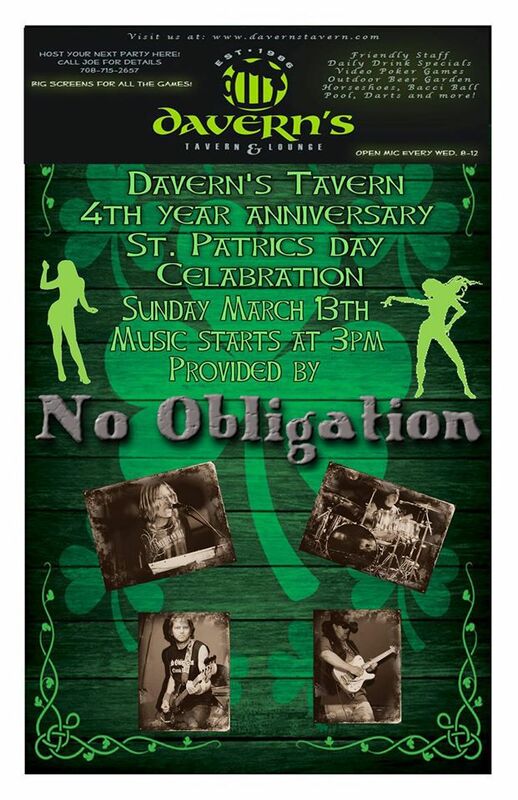 COME JOIN US SUNDAY FOR ONE OF OUR FAVORITE BANDS "NO OBLIGATION" 4 YEARS OF OPENING OUR DOORS COMES WITH THE AMAZING $4.00 YOU CALL IT ALL MONTH LONG!! !